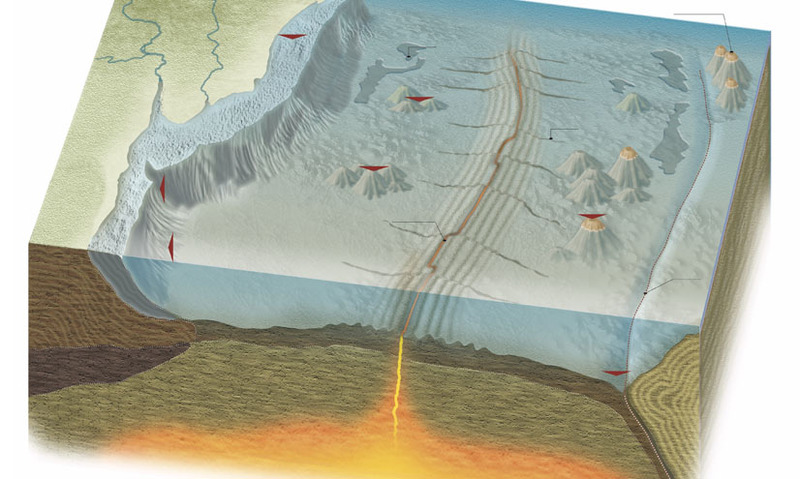 The spreading of the seafloor around mid-ocean ridges as new rock is formed in between two tectonic plates. The spreading of the seafloor around mid-ocean ridges as new rock is formed in between two tectonic plates. The process may help to drive continental drift, as new rock pushes the plates apart. The process may help to drive continental drift, as new rock pushes the plates apart.